The room where you accommodate yourself throughout the vacation is the most prominent aspect of the journey as it is going to be your own sanctuary. Therefore Lotus Villa has designed 19 ground floor rooms with the blend of the contemporary and traditional architecture of Sri Lanka. Thirteen rooms are overlooking to the seaside and the other three rooms are open up to the lush green garden. 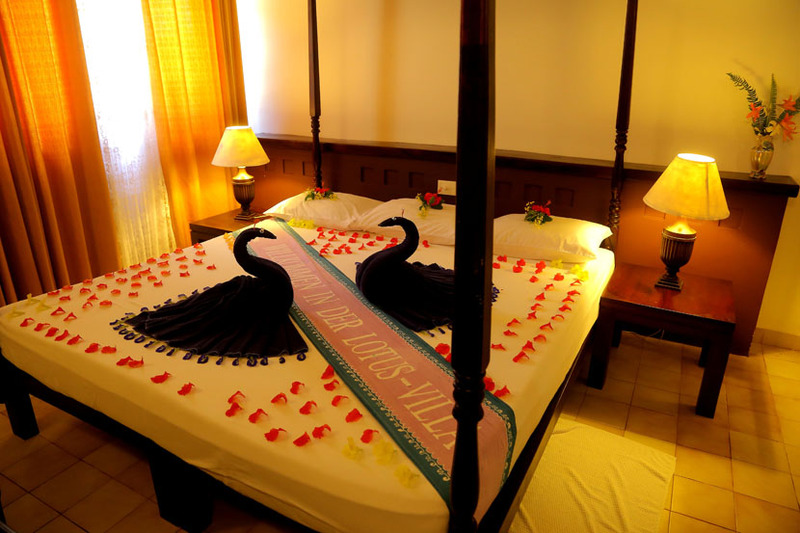 The rooms are well maintained and the bed linen, towel, and other accessories are changed in order to ensure the cleanliness is up to the standard level. The bed linen and other items are carefully washed at our own launderette to remove oil and stain on them properly. There are three interconnecting rooms which suit for the families accompanying kids and couples who wish to sleep separately while undergoing treatments. The rooms are equipped with a ceiling fan, mosquito net, WiF and an alarm bell. Purposely we have not included air conditioning to the rooms because it is necessary to keep the pores in our body open during the Ayurveda treatments. If you wish to be away from the hectic world and relax your mind, Ayurveda believes that telephone, TV, refrigerator may be an interruption. Every room gets potable water which is purified at Lotus Villa and even in the bathroom, you can use the water without any doubt. 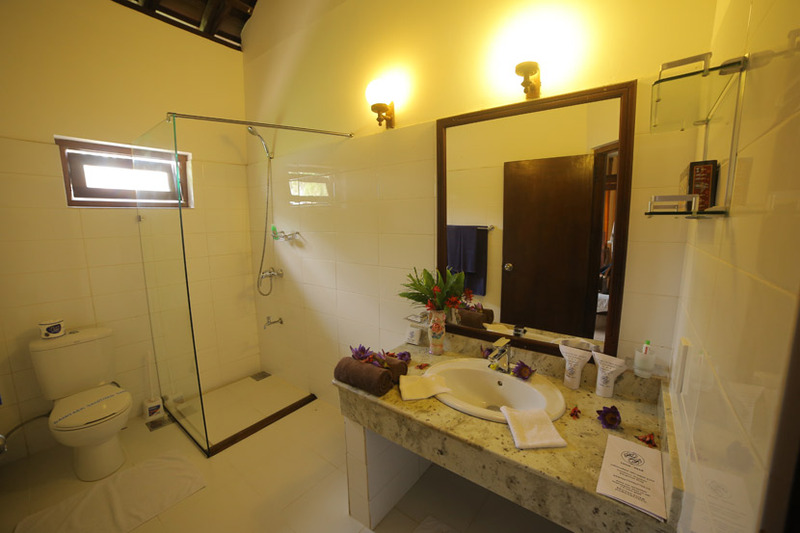 Hot water is available throughout the property and it is mostly heated with the solar energy. Lotus Villa sincerely welcomes guests with wheelchairs. Three rooms are designed and furnished for wheelchair users with adjustable toilet and shower seats. Entire premises, such as restaurant, treatment rooms, office are located on the ground floor and ramps are available only in front of the rooms. Therefore Lotus Villa is well known among the elderly guests as a friendly venture to relax even sitting on the wheelchair.